Chuck Russom was one of the very first sound designers to release sound effects independently, so I’m really happy to welcome him here at A Sound Effect. In this exclusive Q&A he tells what it was like starting out in indie SFX, the stories behind some of his SFX libraries – and what it takes to make it as an independent SFX creator today. You started Chuck Russom FX back in 2010 – what made you launch your own independent sound effects? And how has the market evolved since then? Chuck Russom FX evolved out of a blog that I was running back in 2009/2010. I started the blog to inspire myself to record new sounds. Each week, I’d record something and share it on the blog. I got a lot of great feedback, people seems genuinely interested in what I was sharing. At the same time, I was going through my archives, posting sounds I’d recorded over the years. The idea for releasing SFX libraries seemed like a logical extension of what I was doing with the blog. 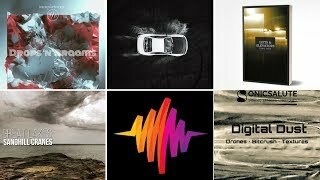 My Metal FX library was born out of recordings I was sharing on the blog. I’d posted a 192K recording of dry ice, with examples at half and quarter speeds. It was a very popular post, so that started the wheels turning for a library release. The idea of recording/releasing a sound library was something I had been kicking around as far back as 2004. I had ideas for recordings, but never could figure out how I wanted to release it. Internet distribution just wasn’t an option back then. You pretty much had to work with one of the big publishers, which wasn’t really what I was looking to do. So, the idea was tabled for many years. As a matter of fact, my Blood and Guts and Metal Impacts libraries were born out of that time. Blood and Guts was recorded in 2005, but at the time was going to be part of a much bigger collection. Those recordings sat for years, until I figured out what to do with them. I remember when I first announced on Twitter that I was going to start releasing SFX libraries. Tim Prebble contacted me and said that he had a similar project that he’d been working on. He ended up launching Hiss and a Roar a little before me. Then Michael Raphael launched Rabbit ears audio shortly after I launched. No longer did you have to spend hundreds of thousands of dollars to purchase a SFX library full of over-designed sounds available only on CD. But that was really it, just a few of us doing this for quite a while. It seemed like a new thing for most people. It really was a new thing. No longer did you have to spend hundreds of thousands of dollars to purchase a SFX library full of over-designed sounds available only on CD. You’ve got some unique libraries in your catalog, including Fireworks and Skateboard. How do you come up with ideas for new libraries? Fireworks and Skateboard are both interesting examples as they weren’t planned as libraries. I had the recordings around before I launched Chuck Russom FX. Skateboard was recorded for a project I worked on 5 years ago. I think Fireworks might have been recorded with the idea that I might release sounds libraries one day, but that was years before I figured out how I would do this. As I was listening through my archives, I realised that both of these could be released as small, inexpensive sound libraries. And they’ve both been pretty popular. Most of the libraries I’ve released have been in response to a lack of material in my personal sound library. Generally, I try to record and release sound libraries that I need. My “day job” is designing sound for games. Most of the libraries I’ve released have been in response to a lack of material in my personal sound library. For instance, I worked on a project where I needed a lot of rock sounds and I just wasn’t happy with the material I had. There wasn’t time on the project for recording, but I made a note to record rocks when I had free time. And that was the beginning of Chuck Russom FX. I figured if I need these libraries, there might be others who could use them too. Other libraries have come about because of found sounds or a a found opportunity. My 2 rain libraries happened like that. I rarely need rain in my work, but there was a very rare period of extended rain in Los Angeles several years ago and I decided to spend the time recording it. What are some of your favorite libraries in your catalog? Now that it’s been nearly 5 years, looking back at the catalog, each library really represents a period of time for me. Dogs was a fun experience for me. Hiring a professional handler and working with them as they brought out dog after dog. Talking with them about the unique voices and personalities each animal had. That one was a fun experiment that really paid off with a lot of great material. Gun Handling is the library that I use the most. I use sounds from that all the time. And it was an easy library for me to do. It is a great example of a library that I would have recorded even if it wasn’t intended for release. I need that stuff daily. You’ve recently completed a gun library – how did that come about? I’ve wanted to do a gun library for years. I really wanted to release a collection that was exactly like the material I record when hired by a client; a huge batch of weapons, multiple mics from many positions, multiple takes. Covering anything you might possibly need from a gun. I think every year I would start thinking about it and then quickly shoot the idea down. The biggest problem is cost and logistics. There is so much involved in doing a big recording session like this. And by the time you hire everyone you need, rent the weapons and recording gear, buy the ammo, and travel, you’re looking at a massive budget. I’ve never been able to justify spending that kind of money. Late in 2013, I was working with a weapon handler that I’ve known for a while. We were setting up a big session for one of my clients and it fell through. I was pretty frustrated as we’d put a lot of work into sourcing a good supply of weapons and a great location. I said at the time that I’d try to get another shoot together soon, even if I had to fund it. So, 2014 rolled around, and I was thinking about it again. I decided that going forward, I wanted to move things in a bigger direction, at least for some libraries. For the most part, Chuck Russom FX had been about doing smaller recording sessions. Things that I could do on my own for little cost. I decided that going forward, I wanted to move things in a bigger direction, at least for some libraries. Guns seemed like a great way to start the next phase of things. I struggled with the cost. It is quite likely that I will never make my money back on this library. I thought about doing a Kickstarter. Then I shot that idea down. Then I briefly went back to that idea. In the end, I decided it was ok to do this and not make money. I need these sounds all the time in my game work, and even if I can’t break even with library sales, these sounds will serve me well for years. Guns was a huge time and money investment. I spent 3 months planning it. I had spreadsheets tracking weapon rental costs, ammo counts and costs, location rental, travel costs, equipment that needed to be bought, borrowed, stolen, or rented. I also had a number of people involved on this shoot. On the weapon side, there were 2 handlers and the company who owned the weapons. I needed help on the recording side and wanted to document the sessions, so I brought an additional recordist and a photographer. A huge amount of time went into planning the logistics. I could only afford to do a one day session. I wanted to record around 25 weapons, which is a lot (too much!) for one day. We recorded in Arizona and I know they can get monsoons in the summer months, so I researched and picked their driest month, June. This time of year would also give me the longest days, so I’d have the most daylight possible. I looked back at all the game projects that I had designed guns for; what were my needs on those projects? How many weapons do I usually design for a game? How many takes did I need? How many loops vs single shots? How many perspectives did I need? I used all of this research to build my recording plan for the library. In the end, after all the hard work, I came away with the best sounding guns I have ever recorded. In the end, after all the hard work, I came away with the best sounding guns I have ever recorded. And that is quite a relief! This whole project could have gone bad in any number of ways. As an independent SFX creator, how do you build your brand as a sound designer? That’s probably the hardest part about this business. In the early days, my SFX library was really an extension of my blog, so a lot of the first customers were blog readers. Social media (Twitter mostly) have helped build awareness that I’m out there. The challenge is reaching new people, who don’t know me, and are not on the usual social media channels. I’ve been spending a lot of time recently trying to find ways to let people that I’ve never interacted with before, to let them know that I’m here and this is what I’m doing. What have been some of the most important lessons you’ve learned as an indie SFX creator? You need to release professional products. There is no room for amature stuff anymore, there are just too many people doing this. You need a great web presence; if you’re hosting your own store, you really need to build on proven tech. I always want the shopping experience to be as quick and easy as possible. You’re not going to make a living from this and you quite possibly will lose money doing it. You need to accept that this is a labor of love. If you wrote up a business plan for a SFX company and showed it to any normal business person, they’d probably tell you that you were nuts for even considering this work. Any word on what the next release will be? Next up is Guns: Volume 2. I split the gun library into two parts because I knew that this project would take me a long time to edit and master. I also split it up to give people multiple purchase options, so that everyone doesn’t have to spend $300 to get some gun sounds. Guns: Volume 2 was originally planned to be out in October, I’m not sure if that is still the case or if it will slip into November. Gun shots are tough on the ears to edit! Looking further on; I’d love to do more volumes of Guns, but that will depend on how well these initial volumes are received. There were a lot of guns that I could have recorded this time around, but just couldn’t fit them in due to time and budget. I’m really looking forward to getting the guns behind me, because I have a lot of ideas built up. All I’m willing to say right now is it will be kind of electrical, kind of sci-fi, kind of electronic. Next up will be something that is a little hard to explain (and a little secret! ), all I’m willing to say right now is it will be kind of electrical, kind of sci-fi, kind of electronic. A lot of it inspired by some of the work I’ve been doing the past couple years on the game “Evolve”. Hopefully that will be out by the end of 2014. I have another metal library that I started recording a few years ago, I’m hoping I can wrap up the recording process this year. I have ideas for another rock library, I just have to plan it out and find a good location to record. I’m not sure if that is something that will happen soon, or further down the road. I also have plans for another whoosh library, which will be very different from my previous whoosh libraries. 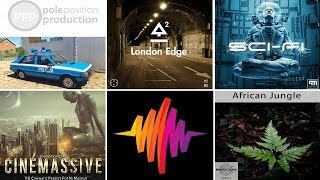 Going through my archives, I’ve found a lot of assorted ambiences/backrounds that I’ve recorded. I need to figure out how to put some of those recordings together and see where they fit in the catalog. I keep finding sounds on hard drives that were an idea for a library at one time or another, so there is material I need to seriously revisit and see if it will become a future product. I’m really hoping to fire out new libraries like crazy in 2015.